Looking for a job in the Northern Arizona Area? 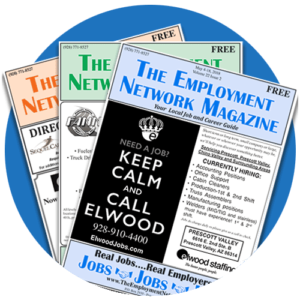 The Employment Network Magazine would like to help you get the job you are looking for. Please take advantage of the Job Seeker Tools provided below. (1) A positive percent difference measures how much the mean wage in the Prescott Metropolitan Statistical Area is above the national mean wage, while a negative difference reflects a lower wage.